The Prairie Chub is classified as a pelagic broadcast-spawning cyprinid based on phylogenetic relationships and shared morphological characteristics with other Macrhybopsis spp. Great Plains pelagic-spawning cyprinid populations have undergone substantial population and range declines due to their sensitivity to anthropogenic changes to the natural flow regime. Currently, there is a paucity of information regarding Prairie Chub biology and life history; thus, little is known about specific factors (i.e., discharge magnitudes) that promote successful recruitment in the upper Red River basin. The purpose of this project is to improve the conservation and management of Prairie Chub and other pelagic broadcast minnows including members of the Macrhybopsis complex. We will assess movement at several locations to determine the relationship with recruitment. We will also evaluate the importance of flow regime metrics and relationships between hydrology and recruitment. This project was funded by the Oklahoma Department of Conservation and is a collaborative effort by the Oklahoma Cooperative Fish and Wildlife Research Unit (Brewer) and Texas A&M University (co-PI, Perkin). 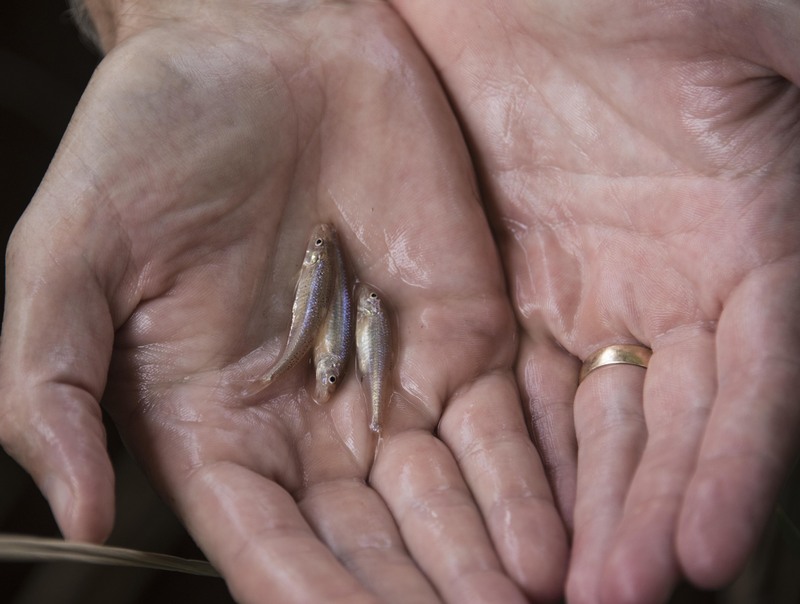 This research will provide a useful ecological metric for informing future water management decisions that will help conserve populations of pelagic broadcast-spawning cyprinids in the upper Red River basin.